Collection of (the late) Paul Walter, New York. Acquired by Walter from Susan Ollemans, London. 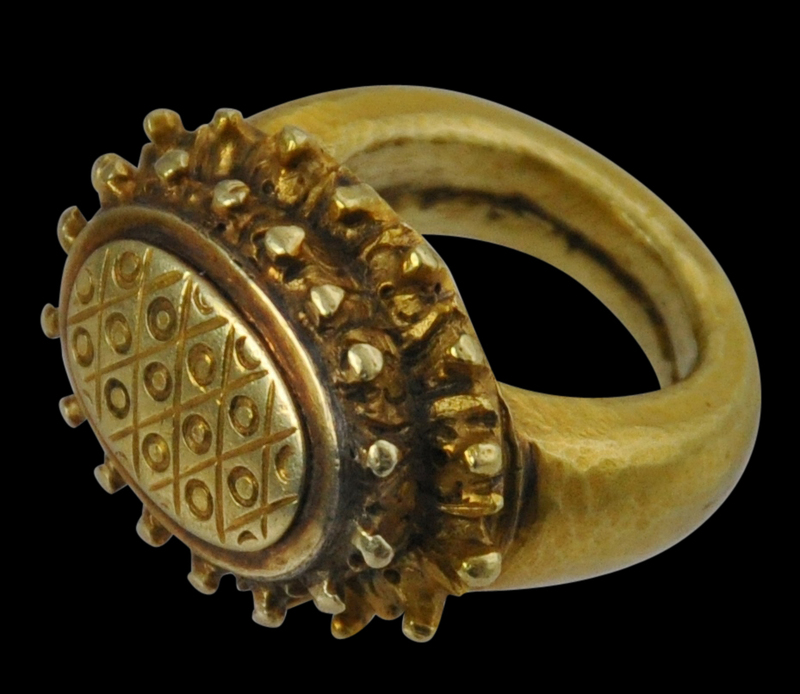 This superb, auspicious finger ring is large, heavy, well-cast and of solid gold. This tick solid hoop gives rise to a large oval bezel in the form of a lotus flower with sides cast with spiky petal ends in a double row. The stamens in the bloom that comprise the flat bezel have been denoted with an etched lattice design in-filled with small circles. Finger rings were very popular in Classical Java as evidenced by the large numbers that have been excavated. 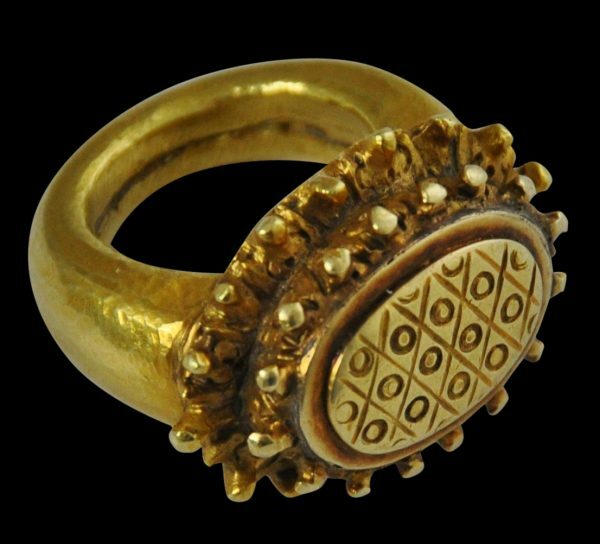 Large rings served to identify the status of the wearer and gifts of rings seem to have accompanied important rituals and festivities. 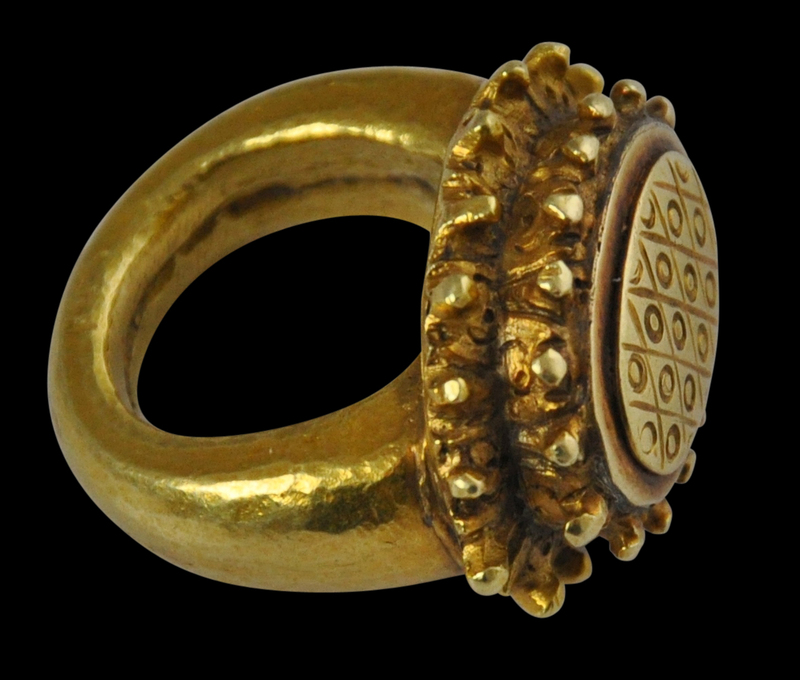 Large quantities of gold jewellery and other items have been found in Central and East Java dating from this period. It was a time when Buddhism and Hinduism seem to have peacefully co-existed at the same time. 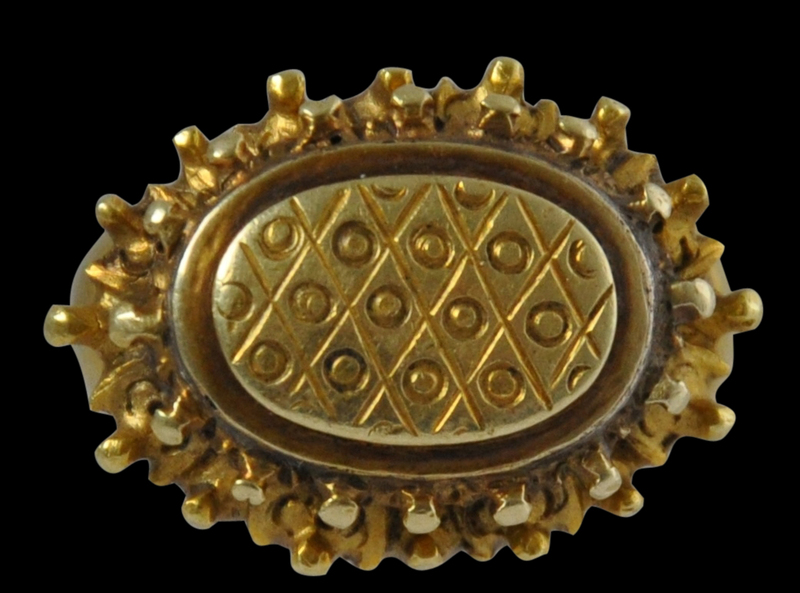 The wealth of the society is testified by the many gold ornaments that its members owned. 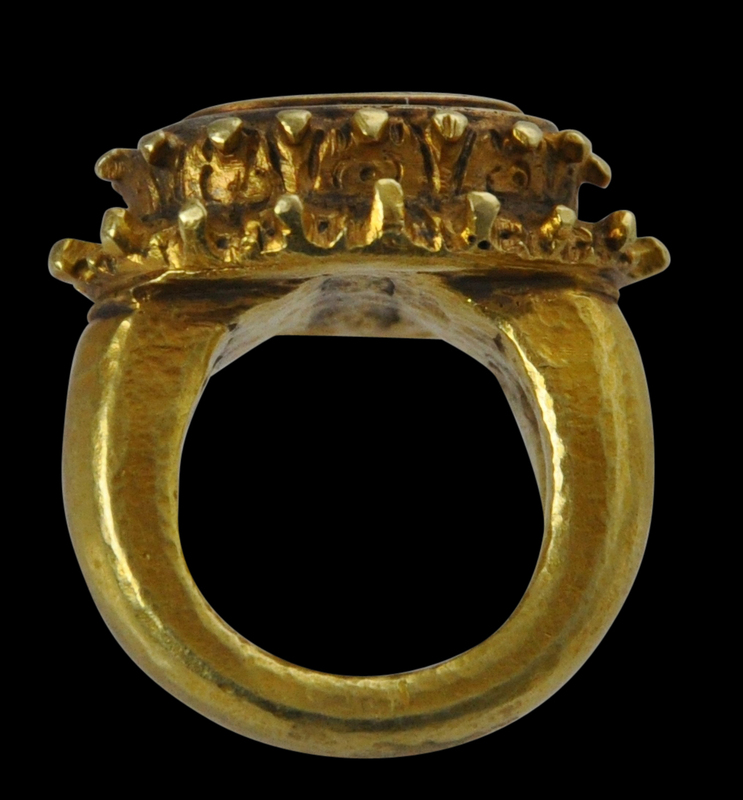 This is one of the best rings of this type that we have seen. It is wearable and sculptural, and must have belonged to a particularly important, high-status owner. It is without losses or repairs. Tiny traces of soil are evidence that the ring was at some time buried.